When addressing a skin concern, such as acne or dark spots, you will need a specialty facial , every two weeks, for a total of 6-8 treatments. Once the desired results are achieved, it would be ideal to get facials every 6 weeks... because it takes that long for the skin to regenerate. At minimum get a facial treatment every three months... 4 times a year. Designer facials include: aromatherapy, hot and cold stone massage, (2) cleanses, steam, masque, custom chemical peel, and one follow up visit within 4-5 days. The follow up includes a skin analysis, hydrodermabrasion for a safe exfoliation and in depth extractions. 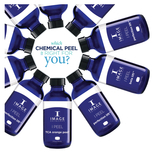 Our Clinical Couture Designer Peels are the only peels that can be custom formulated to match individual skin types. Our organic aloe vera gel based peel solutions are gentle, yet effective enough to rejuvenate, lighten, smooth wrinkles, moisturize, or any correcting combination needed for youthful, radiant skin. to brighten and rebalance without lifting skin. to reduce all forms of pigmentation (dark spots). to reduce the appearance of fine lines and wrinkles. to treat mild to severe acne. ultimate spa experience and relaxation. to address various skin concerns, for those sensitive to chemicals. for enhanced hydration, pore cleanse and skin firming. Ultimate hyaluraonic and stem cell absorption, for maximum anti-aging. 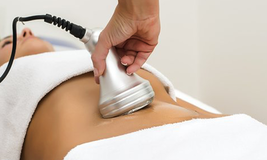 Ultrasonic cavitation is a weight-loss treatment that uses low-frequency sound waves to burst fat cells, resulting in lost inches on the treated areas and a slimmer figure. This process heats and vibrates the layer of fat cells below the skin's surface. The pressure eventually causes the fat cells to liquefy and release their contents into the bloodstream. Far Infrared Rays are invisible waves of energy that have the ability to penetrate all layers of the human physical body, penetrating into the inner-most regions of the tissues, muscles and bone. These waves, or rays, of energy slightly elevate the surface temperature of the body, reulsting in many health benefits.